Curriculum Vitae | Perry L. Wood Jr.
B.S. in Biological Science, La Sierra University, Riverside, CA; graduation June 17, 2007. M.S. in Biological Science, Villanova University, Villanova, PA. Advisors: Todd R. Jackman and Aaron M. Bauer. Thesis: Systematics, biogeography, taxonomy and delimiting species complexes in the Southeast Asian Lizard Genus Acanthosaura Gray, 1831 inferred from mitochondrial and fast-evolving protein coding nuclear loci. September 2011. Ph.D. Department of Biology, Brigham Young University, Provo, UT. Advisor: Dr. Jack W. Sites, Jr. Phylogenomics, biogeography and convergent evolution in a radiation of Southeast Asian Rock Geckos (Cnemaspis Strauch, 1887). June 2017. Postdoctoral Researcher: The University of Kansas Biodiversity Institute, KU Natural History Museum, Lawrence, KS. Supervisor: Rafe M. Brown. Comparative phylogenomics of the Philippines. January 2017–August 2018. Postdoctoral Researcher: Department of Biological Sciences, Auburn University, Auburn, AL. Supervisor: Jamie R. Oaks. Generalizing Bayesian phylogenetics to infer shared evolutionary events. August 2018–present. 2017 Oaks, J.R. (PI), Wood, Jr., P.L. (senior personnel OR postdoctoral scholar), Grismer, L.L. (senior personnel), Siler, C.D. (senior personnel). Generalizing Bayesian phylogenetics to infer shared evolutionary events. ($551,169). 3/2017–2/2020. 2015 NSF Doctoral Dissertation Improvement Grant (DDIG): Phylogeny, biogeography, and convergent evolution in a radiation of Southeast Asian Rock Geckos (Cnemaspis Strauch, 1887) ($16,335). 2015 Society for Systematic biologists workshop grant ($1,750). 2015 Society for the study of Evolution travel award ($500). 2013 Foreign Language Areas Studies Grant, Indonesian/Thai ($15,000). 2012 Research Presentation Award from BYU Graduate Studies ($400). 2012 American Society of Ichthyologist and Herpetologist travel Award ($300). 2009 Research Fellowship, Villanova University ($7,000). 2009 Student travel award, Villanova University ($620). 2009 Graduate Student Summer Fellowship, Villanova University ($1,150). 2008 Graduate Student Summer Fellowship, Villanova University ($2,000). 2008 Student travel award, Villanova University ($700). 2006 Student researcher of the year, La Sierra University ($100). 2006 Rychman Undergraduate Research Endowment, La Sierra University ($1,900). 2005 Rychman Undergraduate Research Endowment, La Sierra University ($995). 2003 Rychman Undergraduate Research Endowment, La Sierra University ($1,000). 2003 University Research Council, La Sierra University ($400). 2002 Rychman Undergraduate Research Endowment, La Sierra University ($460). 106. Grismer, L. L., Wood, Jr., P. L., Thura, M. K., Win, N. M., Grismer, M. S., Trueblood, L. A., and Quah, E. S. H. (2018). A re-description of Cyrtodactylus chrysopylos Bauer (Squamata: Gekkonidae) with comments on the adaptive significance of orange coloration in hatchlings and descriptions of two new species from eastern Myanmar (Burma). Zootaxa, 4527(2):151–185. 105. Aguilar-Puntriano, C., Avila, L. J., De la Riva, I., Johnson, L., Morando, M., Troncoso-Palacios, J., Wood, Jr., P. L., and Sites, Jr., J. W. (2018). The shadow of the past: Convergence of young and old South American desert lizards as measured by head shape traits. Ecology and Evolution, DOI:10.1002/ece3.4548. 104. Quah, E. S. H., Wood, Jr., P. L., Grismer, L. L., and Anuar, S. M. S. (2018). On the taxonomy and phylogeny of the rare Selangor Mud Snake (Raclitia indica) Gray (Serpentes, Homalopsidae) from Peninsular Malaysia. Zootaxa, 4514(1):53–64. 103. Grismer, L. L., Wood, Jr., P. L., Thura, M. K., Grismer, M. S., Brown, R. M., and Stuart, B. L. (2018).Geographically structured genetic variation in Ptychozoon lionotum (Squamata: Gekkonidae) and a new species from an isolated volcano in Myanmar. Zootaxa, 4514(2):202–214. 102. Davis, H. R., Grismer, L. L., Cobos, A. J., Murdoch, M. L., Sumarli, A. X., Anuar, S., Muin, M., Wood, Jr., P. L., and Quah, E. S. (2017). Checklist of the Herpetofauna of Hutan Lipur Gunung Senyum, Pahang, Peninsular Malaysia. Russian Journal of Herpetology, 25(3):207–220. 101. Grismer, L. L., Wood, Jr., P. L., Zug, G. R., Thura, M. K., Grismer, M. S., Murdoch, M. L., Quah, E. S. H., Lin, A. (2018). Two more new species of Hemiphyllodactylus Bleeker (Squamata: Gekkonidae) from the Shan Hills of eastern Myanmar (Burma). Zootaxa, 4483(2):295–316. 100. Grismer, L. L., Wood, Jr., P. L., Quah, E. S. H., Murdoch, M. L., Grismer, M. S., Herr, M. W., Espinoza, R. E., Brown, R. M., and Lin, A. (2018). A phylogenetic taxonomy of the Cyrtodactylus peguensis group (Reptilia: Squamata: Gekkonidae) with descriptions of two new species from Myanmar. PeerJ, 6:e5575. 99. Grismer, L. L., Wood, Jr., P. L., Thura, M. K., Quah, E. S. H., Grismer, M. S., Murdoch, M. L., Espinoza, R. E., and Lin, A. (2018). A new Cyrtodactylus Gray, 1827 (Squamata, Gekkonidae) from the Shan Hills and the biogeography of Bent-toed Geckos from eastern Myanmar. Zootaxa, 4446(4):477–500. 98. Grismer, L. L., Wood, Jr., P. L., Thura, M. K., Quah, E. S. H., Murdoch, M. L., Grismer, M. S., Herr, M. W., Lin, A., and Kyaw, H. (2018). Three more new species of Cyrtodactylus (Squamata: Gekkonidae) from the Salween Basin of eastern Myanmar underscore the urgent need for the conservation of karst habitats. Journal of Natural History, 52(19-20):1243–1294. 97. Grismer, L. L., Wood, Jr., P. L., Ahmad, A. B., Baizul-Hafsyam, B. S., Afiq-Shuhaimi, M., Rizal, S. A., and Quah, E. S. H. (2018). Two new Tytthoscincus Linkem, Diesmos, & brown (Squamata; Scincidae) from Peninsular Malaysia and another case of microsyntopy between ecologically specialized, unrelated, leaf-litter species. Zootaxa, 4425(1):87–107. 96. Quah, E. S., Grismer, L. L., Jetten, T., Wood, Jr., P. L., Miralles, A., Sah, S. A. M., Guek, K. H., and Brady, M. L. (2018). The rediscovery of Schaefer’s Spine-jawed Snake (Xenophidion schaeferi günther Manthey, 1995)(Serpentes, Xenophidiidae) from Peninsular Malaysia with notes on its variation and the first record of the genus from Sumatra, Indonesia. Zootaxa, 4441(2):366–378. 95. Grismer, L. L., Wood, Jr., P. L., Kyaw Thura, M., Zin, T., Quah, E. S. H., Murdoch, M. L., Grismer, M. S., Li, A., Kyaw, H., and Lwin, N. (2018). Phylogenetic taxonomy of Hemiphyllodactylus Bleeker, 1860 (Squamata: Gekkonidae) with descriptions of three new species from Myanmar. Journal of Natural History, 52(13–16):881–915. 94. Grismer, L. L., Wood, Jr., P. L., Lim, K. P. L., and Liang, L. J. (2017). A new species of swamp dwelling skink (Tytthoscincus) from Singapore and Peninsular Malaysia. Raffles Bulletin of Zoology, 65:574–584. 93. Grismer, L. L., Wood, Jr., P. L., Thura, M. K., Zin, T., Quah, E. S., Murdoch, M. L., Grismer, M. S., Lin, A., Kyaw, H., and Lwin, N. (2017). Twelve new species of Cyrtodactylus Gray (Squamata: Gekkonidae) from isolated limestone habitats in east-central and southern Myanmar demonstrate high localized diversity and unprecedented microendemism. Zoological Journal of the Linnean Society, 182(4):862–959. 92. Grismer, L. L., Wood, Jr., P. L., Quah, E. S. H., Anuar, S., Ngadi, E. B., Izam, N. A. M., and Ahmad, N. (2017). Systematics, ecomorphology, cryptic speciation and biogeography of the lizard genus Tytthoscincus Linkem, Diesmos & Brown (Squamata: Scincidae) from the sky-island archipelago of Peninsular Malaysia. Zoological Journal of the Linnean Society, 183(3):635–671. 91. Wood, Jr., P. L., Grismer, L. L., Aowphol, A., Aguilar, C., Cota, M., Grismer, M. S., Murdoch, M. L., and Sites, Jr., J. W. (2017). Three new karst-dwelling Cnemaspis Strauch, 1887 (Squamata; Gekkonidae) from Peninsular Thailand and the phylogenetic placement of C. punctatonuchalis and C. vandeventeri. PeerJ, 5:e2884. 90. Quah, E. S., Anuar, S. M., Grismer, L.,Wood, Jr., P. L., Azizah, S., and Muin, M. A. (2017). A new species of frog of the genus Abavorana Oliver, Prendini, Kraus & Raxworthy 2015 (Anura: Ranidae) from Gunung Jerai, Kedah, northwestern Peninsular Malaysia. Zootaxa, 4320(2):272–288. 89. Quah, E. S., Grismer, L. L., Wood, Jr., P. L., Thura, M. K., Zin, T., Kyaw, H., Lwin, N., Grismer, M. S., and Murdoch, M. L. (2017). A new species of Mud Snake (Serpentes, Homalopsidae, Gyiophis Murphy & Voris, 2014) from Myanmar with a first molecular phylogenetic assessment of the genus. Zootaxa, 4238(4):571–582. 88. Aguilar, C., Wood, Jr., P. L., Belk, M. C., Duff, M. H., and Sites, Jr., J. W. (2016). Different roads lead to Rome: Integrative taxonomic approaches lead to the discovery of two new lizard lineages in the Liolaemus montanus group (Squamata: Liolaemidae). Biological Journal of the Linnean Society, 120(2):448–467. 87. Blackburn, D., Wood, Jr., P. L., Burk, T. J., Crawford, B., Wright, S. M., and Adams, B. J. (2016). Evolution of virulence in Photorhabdus spp., entomopathogenic nematode symbionts. Systematic and applied microbiology, 39(3):173–179. 86. Ceríaco, L. M., Gutiérrez, E. E., Dubois, A., Carr, M., et al. (2016). Photography-based taxonomy is inadequate, unnecessary, and potentially harmful for biological sciences. Zootaxa, 4196(3):435–445. 85. Cobos, A., Grismer, L. L., Wood, Jr., P. L., Quah, E. S., Anuar, S., Muin, M. A. (2016). Phylogenetic relationships of geckos of the Hemiphyllodactylus harterti group, a new species from Penang Island, Peninsular Malaysia, and a likely case of true cryptic speciation. Zootaxa, 4107(3):367–380. 84. Davis, H. R., Grismer, L. L., Klabacka, R. L., Muin, M. A., Quah, E. S., Anuar, S., Wood, Jr., P. L., and Sites, Jr., J. W. (2016). The phylogenetic relationships of a new Stream Toad of the genus Ansonia Stoliczka, 1870 (Anura: Bufonidae) from a montane region in Peninsular Malaysia. Zootaxa, 4103(2):137–153. 83. Grismer, L. L., Muin, M. A., Wood, Jr., P. L., and Anuar, S. (2016). The transfer of two clades of Malaysian Sphenomorphus Fitzinger (Squamata: Scincidae) into the genus Tytthoscincus Linkem, Diesmos, & Brown and the description of a new Malaysian swamp-dwelling species. Zootaxa, 4092(2):231–242. 82. Grismer, L. L., Wood, Jr., P. L., Aowphol, A., Cota, M., Grismer, M. S., Murdoch, M. L., Aguilar, C., and Grismer, J. L. (2016). Out of Borneo, again and again: biogeography of the Stream Toad genus Ansonia Stoliczka (Anura: Bufonidae) and the discovery of the first limestone cave-dwelling species. Biological Journal of the Linnean Society, 120(2):371–395. 81. Grismer, L. L., Wood, Jr., P. L., Aowphol, A., Cota, M., Murdoch, M. L., Aguilar, C., and Grismer, M. S. (2016). Taxonomy, phylogeny, and distribution of Bronchocela rayaensis (Squamata: Agamidae) on the Thai-Malay Peninsula. Zootaxa, 4092(3):414–420. 80. Grismer, L. L., Wood, Jr., P. L., Anuar, S., Grismer, M. S., Murdoch, M. L., Muin, M. A., Davis, H. R., and Cobos, A. J. (2016). Two new Bent-toed Geckos of the Cyrtodactylus pulchellus complex from Peninsular Malaysia and multiple instances of convergent adaptation to limestone forest ecosystems. Zootaxa, 4105(5):401–429. 79. Grismer, L. L.,Wood, Jr., P. L., Anuar, S., Davis, H. R., Cobos, A. J., and Murdoch, M. L. (2016). A new species of karst forest Bent-toed Gecko (genus Cyrtodactylus Gray) not yet threatened by foreign cement companies and a summary of Peninsular Malaysia’s endemic karst forest herpetofauna and the need for its conservation. Zootaxa, 4061(1):1–17. 78. Grismer, L. L., Quah, E. S. H., Wood, Jr., P. L., Anuar, S., Muin, A., Davis, H. R., Murdoch, M. L., Grismer, J. L., Cota, M., and Cobos, A. J. (2016). Dragons in the mist: three new species of Pseudocalotes Fitzinger (Squamata: Agamidae) from the sky island archipelago of Peninsular Malaysia. Zootaxa, 4136(3):461–490. 77. Grismer, L. L.,Wood, Jr., P. L., Syafiq, M. F., and Badli-Sham, B. H. (2016). On the taxonomy and phylogeny of the skinks Lipinia sekayuensis Grismer, Ismail, Awang, Rizal, & Ahmad and Lipinia surda Boulenger from Peninsular Malaysia. Zootaxa, 4147(1):59–66. 76. Sumarli, A. X., Grismer, L. L., Wood, Jr., P. L., Ahmad, A. B., Rizal, S., Ismail, L. H., Izam, N. A. M., Ahmad, N., and Linkem, C. W. (2016). The first riparian skink (Genus: Sphenomorphus Strauch, 1887) from Peninsular Malaysia and its relationship to other Indochinese and Sundaic species. Zootaxa, 4173(1):29–44. 75. Pauwels, O. S., Sumontha, M., Kunya, K., Nitikul, A., Samphanthamit, P., Wood, Jr., P. L., and Grismer, L. L. (2015). Acanthosaura phuketensis (Squamata: Agamidae), a new long-horned tree agamid from southwestern Thailand. Zootaxa, 4020(3):473–494. 74. Riyanto, A., Grismer, L. L., and Wood, Jr., P. L. (2015). The fourth Bent-toed Gecko of the genus Cyrtodactylus (Squamata: Gekkonidae) from Java, Indonesia. Zootaxa, 4059(2):351–363. 73. Riyanto, A., Grismer, L. L., and Wood, Jr., P. L. (2015). Cyrtodactylus rosichonariefi sp. nov. (Squamata: Gekkonidae), a new swamp-dwelling bent-toed gecko from Bunguran Island (Great Natuna), Indonesia. Zootaxa, 3964(1):114–124. 72. Reeder, T. W., Townsend, T. M., Mulcahy, D. G., Noonan, B. P., Wood, Jr., P. L., Sites Jr, J. W., and Wiens, J. J. (2015). Integrated analyses resolve conflicts over squamate reptile phylogeny and reveal unexpected placements for fossil taxa. PLOS one, 10(3):e0118199. 71. Grismer, L. L., Wood, Jr., P. L., Anuar, S., Quah, E. S. H., Muin, M. A., Onn, C. K., Sumarli, A. X., and Loredo, A. I. (2015). Repeated evolution of sympatric, palaeoendemic species in closely related, co-distributed lineages of Hemiphyllodactylus Bleeker, 1860 (Squamata: Gekkonidae) across a sky-island archipelago in Peninsular Malaysia. Zoological Journal of the Linnean Society, 174(4):859–876. 70. Grismer, L. L., Wood, Jr., P. L., Lee, C. H., Quah, E. S. H., Anuar, S., Ngadi, E., and Sites Jr, J. W. (2015). An integrative taxonomic review of the agamid genus Bronchocela (Kuhl, 1820) from Peninsular Malaysia with descriptions of new montane and insular endemics. Zootaxa, 3948(1):1–23. 69. Grismer, L. L., Wood, Jr., P. L., Ngo, V. T., and Murdoch, M. L. (2015). The systematics independent evolution of cave ecomorphology in distantly related clades of Bent-toed Geckos (genus Cyrtodactylus Gray, 1827) from the Mekong Delta and islands in the Gulf of Thailand. Zootaxa, 3980(1):106–126. 68. Grismer, L. L., Wood, Jr., P. L., Quah, E. S. H., Anuar, S., Ngadi, E., and Norhayati, A. (2015). A new insular species of Rock Gecko (Cnemaspis Boulenger) from Pulau Langkawi, Kedah, Peninsular Malaysia. Zootaxa, 3985(2):203–218. 67. Grismer, L. L., Wood, Jr., P. L., Anuar, S., Riyanto, A., Ahmad, N., Muin, M. A., Sumontha, M., Grismer, J. L., Onn, C. K., and Quah, E. S. (2014). Systematics and natural history of Southeast Asian Rock Geckos (genus Cnemaspis Strauch, 1887) with descriptions of eight new species from Malaysia, Thailand, and Indonesia. Zootaxa, 3880(1):1–147. 66. Grismer, J. L., Bauer, A. M., Grismer, L. L., Thirakhupt, K., Aowphol, A., Oaks, J. R., Wood, Jr., P. L., Onn, C. K., Thy, N., and Cota, M. (2014). Multiple origins of parthenogenesis, and a revised species phylogeny for the Southeast Asian butterfly lizards, Leiolepis. Biological journal of the Linnean Society, 113(4):1080–1093. 65. Van Tri, N., Grismer, L. L., Thai, P. H., and Wood, Jr., P. L. (2014). A new species of Hemiphyllodactylus Bleeker, 1860 (Squamata: Gekkonidae) from Ba Na-Nui Chua Nature Reserve, Central Vietnam. Zootaxa, 3760(4):539–552. 64. Chan, K. O., Wood, Jr., P. L., Anuar, S., Muin, M. A., Quah, E. S., Sumarli, X., and Grismer, L. L. (2014). A new species of upland Stream Toad of the genus Ansonia Stoliczka, 1870 (Anura: Bufonidae) from northeastern Peninsular Malaysia. Zootaxa, 3764(4):427–440. 63. Grismer, L. L., Quah, E. S. H., Anuar, S., Muin, M. A., Wood, Jr., P. L., and Nor, S. A. M.
(2014). A diminutive new species of cave-dwelling Wolf Snake (Colubridae: Lycodon Boie, 1826) from Peninsular Malaysia. Zootaxa, 3815(1):51–67. 62. Grismer, L. L., Belabut, D. M., Quah, E. S. H., Chan, K. O., Wood, Jr., P. L., and Hasim, R. (2014). A new species of karst forest-adapted Bent-toed Gecko (genus Cyrtodactylus Gray, 1827) belonging to the C. sworderi complex from a threatened karst forest in Perak, Peninsular Malaysia. Zootaxa, 3755(5):434–446. 61. Grismer, L. L., Wood, Jr., P. L., Anuar, S., Quah, E. S. H., Muin, M. A., Mohamed, M., Chan, K. O., Sumarli, A. X., Loredo, A. I., and Heinz, H. M. (2014). The phylogenetic relationships of three new species of the Cyrtodactylus pulchellus complex (Squamata: Gekkonidae) from poorly explored regions in northeastern Peninsular Malaysia. Zootaxa, 3786(3):359–381. 60. Grismer, L. L., Wood, Jr., P. L., Ahmad, A. B., Sumarli, A. S.-I., Vazquez, J. J., Ismail, L. H. B., Nance, R., Mohd-Amin, M. A. B., Othman, M. N., Rizaijessika, S. A. (2014). A new species of insular Rock Gecko (genus Cnemaspis Strauch, 1887) from the Bidong Archipelago, Terengganu, Peninsular Malaysia. Zootaxa, 3755(5):447–456. 59. Grismer, L. L., Wood, Jr., P. L., Chan, K. O., Anuar, S., and Muin, M. A. (2014). Cyrts in the city: A new Bent-toed Gecko (genus Cyrtodactylus) is the only endemic species of vertebrate from Batu Caves, Selangor, Peninsular Malaysia. Zootaxa, 3774(4):381–394. 58. Grismer, L. L., Wood, Jr., P. L., and Cota, M. (2014). A new species of Hemiphyllodactylus Bleeker, 1860 (Squamata: Gekkonidae) from northwestern Thailand. Zootaxa, 3760(1):67–78. 57. Sadlier, R. A., Whitaker, A. H., Wood, Jr., P. L., and Bauer, A. M. (2014). A new species of lizard in the genus Caledoniscincus (Reptilia: Scincidae) from far northwest New Caledonia. Zootaxa, 3795(1):045–060. 56. Sadlier, R. A., Bauer, A. M., Wood, Jr., P. L., Smith, S. A., Whitaker, A. H., Jourdan, H., and Jackman, T. (2014). Localized endemism in the southern ultramafic bio-region of New Caledonia as evidenced by the lizards in the genus Sigaloseps (Reptilia: Scincidae), with descriptions of four new species. Neocaledonica, 8:79–113. 55. Sadlier, R. A., Bauer, A. M., Wood, Jr., P. L., Smith, S., Whitaker, T. A., and Jackman, T. R. (2014). Cryptic speciation in cryptic skinks: a molecular phylogeny of the New Caledonian Nannoscincus (Reptilia: Scincidae) and recognition of two new species in the genus. Zoologia Neocaledonica Biodiversity studies in New Caledonia. Muséum national d´Histolire naturelle, Paris, (8):45–68. 54. Welton, L. J., Wood, Jr., P. L., Oaks, J. R., Siler, C. D., and Brown, R. M. (2014). Fossil-calibrated phylogeny and historical biogeography of southeast asian water monitors (Varanus salvator complex). Molecular Phylogenetics and Evolution, 74:29–37. 53. Wood, Jr., P. L., Quah, E. S., Anuar, S., and Muin, M. A. (2013). A new species of lowland karst dwelling Cnemaspis Strauch 1887 (Squamata: Gekkonidae) from northwestern Peninsular Malaysia. Zootaxa, 3691(5):538–558. 52. Aguilar, C., Wood, Jr., P. L., Cusi, J. C., Guzman, A., Huari, F., Lundberg, M., Mortensen, E., Ramírez, C., Robles, D., Suárez, J., et al. (2013). Integrative taxonomy and preliminary assessment of species limits in the Liolaemus walkeri complex (Squamata, Liolaemidae) with descriptions of three new species from Peru. ZooKeys, (364):47–91. 51. Loredo, A. I., Wood, Jr., P. L., Quah, E. S., Anuar, S., Greer, L., Norhayati, A., and Grismer, L. L. (2013). Cryptic speciation within Asthenodipsas vertebralis (Boulenger, 1900)(Squamata:Pareatidae), the description of a new species from Peninsular Malaysia, and the resurrection of A. tropidonotus (Lidth de Jude, 1923) from Sumatra: an integrative taxonomic analysis. Zootaxa, 3664(4):505–524. 50. Grismer, L. L., Wood, Jr., P. L., Anuar, S., Muin, M. A., Quah, E. S. H., McGuire, J. A., Brown, R. M., Van Tri, N., and Hong Thai, P. (2013). Integrative taxonomy uncovers high levels of cryptic species diversity in Hemiphyllodactylus Bleeker, 1860 (Squamata: Gekkonidae) and the description of a new species from Peninsular Malaysia. Zoological Journal of the Linnean Society, 169(4):849–880. 49. Grismer, L. L., Wood, Jr., P. L., Mohamed, M., Chan, K. O., Heinz, H. M., Sumarli, A., Chan, J. A., and Loredo, A. I. (2013). A new species of karst-adapted Cnemaspis Strauch, 1887 (Squamata: Gekkonidae) from a threatened karst region in Pahang, Peninsular Malaysia. Zootaxa, 3746(3):463–472. 48. Grismer, L. L., Anuar, S., Muin, M. A., Quah, E. S. H., and Wood, Jr., P. L., (2013). Phylogenetic relationships and description of a new upland species of Bent-toed Gecko (Cyrtodactylus Gray, 1827) of the C. sworderi complex from northeastern Peninsular Malaysia. Zootaxa, 3616:239–252. 47. Sadlier, R. A., Bauer, A. M., Wood, Jr., P. L., Smith, S. A., and Jackman, T. R. (2013). A new species of lizard in the genus Caledoniscincus (Reptilia: Scincidae) from southern New Caledonia and a review of Caledoniscincus atropunctatus (Roux). Zootaxa, 3694(6):501–524. 46. Wood, Jr., P. L., Heinicke, M. P., Jackman, T. R., and Bauer, A. M. (2012). Phylogeny of bent-toed geckos (Cyrtodactylus) reveals a west to east pattern of diversification. Molecular Phylogenetics and Evolution, 65(3):992–1003. 45. Grismer, L. L., Wood, Jr., P. L., Quah, E. S., Anuar, S., Muin, M. A., Sumontha, M., Ahmad, N., Bauer, A. M., Wangkulangkul, S., Grismer, J. L. (2012). A phylogeny and taxonomy of the Thai-Malay Peninsula Bent-toed Geckos of the Cyrtodactylus pulchellus complex (Squamata: Gekkonidae): combined morphological and molecular analyses with descriptions of seven new species. Zootaxa, 3520(3):1–55. 44. Grismer, L. L., Wood, Jr., P. L., and Lim, K. K. P. (2012). Cyrtodactylus majulah, a new species of Bent-toed Gecko (Reptilia: Squamata: Gekkonidae) from Singapore and the Riau Archipelago. The Raffles Bulletin of Zoology, 60(2):487–499. 43. Johnson, C. B., Quah, S. E., Anuar, S., Muin, M., Wood, Jr., P. L., Grismer, J. L., Greer, L. F., Onn, C. K., Ahmad, N., Bauer, A. M. (2012). Phylogeography, geographic variation, and taxonomy of the Bent-toed Gecko Cyrtodactylus quadrivirgatus Taylor, 1962 from Peninsular Malaysia with the description of a new swamp dwelling species. Zootaxa, (3406):39–58. 42. Portik, D. M., Wood, Jr., P. L., Grismer, J. L., Stanley, E. L., and Jackman, T. R. (2012). Identification of 104 rapidly-evolving nuclear protein-coding markers for amplification across scaled reptiles using genomic resources. Conservation Genetic Resources, pages 1–10. 41. Sadlier, R. A., Whitaker, T., Wood, Jr., P. L., and Bauer, A. M. (2012). A new species of scincid lizard in the genus Caledoniscincus (reptilia: Scincidae) from northwest New Caledonia. Zootaxa, 3229:47–57. 40. Chan, K. O., Grismer, L. L., Anuar, S., Quah, E., Grismer, J. L., Wood, Jr., P. L., Muin, M. A., and Ahmad, N. (2011). A new species of Chiromantis Peters 1854 (Anura: Rhacophoridae) from Perlis State Park in extreme northern Peninsular Malaysia with additional herpetofaunal records for the park. Russian Journal of Herpetology, 18(4):253–259. 39. Grismer, L. L., Grismer, J. L., Wood, Jr., P. L., Ngo, V. T., Neang, T., and Chan, K. O. (2011). Herpetology on the fringes of the Sunda Shelf: a discussion of discovery, taxonomy, and biogeography. Bonner Zoologische Monographien, (57):57–97. 38. Grismer, L. L., Huat, E. Q. S., Siler, C. D., Onn, C., Wood, Jr., P. L., and Grismer, J. L. (2011). Peninsular Malaysia’s first limbless lizard: a new species of skink of the genus Larutia (Böhme) from Pulau Pinang with a phylogeny of the genus. Zootaxa, 2799(1):29–40. 37. van Rooijen, J., Wood, Jr., P. L., Grismer, J. L., Grismer, L. L., and Grossmann, W. (2011). Color pattern dimorphism in the colubrid snake Oligodon purpurascens (Schlegel, 1837)(Reptilia: Squamata). Russian Journal of Herpetology, 18(3):215–220. 36. Wood, Jr., P. L., Grismer, L. L., Grismer, J. L., Neang, T., Chav, T., and Holden, J. (2010). A new cryptic species of Acanthosaura Gray, 1831 (Squamata: Agamidae) from Thailand and Cambodia. Zootaxa, 2488(1):22–38. 35. Onn, C. K., Grismer, L. L., Matsui, M., Nishikawa, K., Wood, Jr., P. L., Grismer, J. L., Belabut, D., and Ahmad, N. (2010). Herpetofauna of Gunung Panti Forest Reserve, Johor, Peninsular Malaysia. Tropical Life Sciences Research, 21(1):75–86. 34. Grismer, L. L., Chan, K. O., Grismer, J. L., Wood, Jr., P. L., and Norhayati, A. (2010). A checklist of the herpetofauna of the Banjaran Bintang, Peninsular Malaysia. Russian Journal of Herpetology, 17(2):147–160. 33. Grismer, L. L., Sumontha, M., Cota, M., Grismer, J. L., Wood, Jr., P. L., Pauwels, O. S. G., and Kunya, K. (2010). A revision and redescription of the rock gecko Cnemaspis siamensis (Taylor 1925)(Squamata: Gekkonidae) from Peninsular Thailand with descriptions of seven new species. Zootaxa, 2576(1):1–55. 32. Thy, N., Grismer, L. L., Onn, C. K., Grismer, J. L., Wood, Jr., P. L., and Youmans, T. M. (2010). First report on the herpetofauna of Dalai Mountain in Phnom Samkos Wildlife Sanctuary, southwestern Cardamom Mountains, Cambodia. Cambodian Journal of Natural History, 2010:127–143. 31. Wood, Jr., P. L., Grismer, J. L., Grismer, L. L., Norhayati, A., Chan, K. O., and Bauer, A. M. (2009). Two new montane species of Acanthosaura Gray, 1831 (Squamata: Agamidae) from Peninsular Malaysia. Zootaxa, 2012:28–46. 30. Onn, C. K., Grismer, L. L., Wood, Jr., P. L., Grismer, J. L., and Ahmad, N. (2009). Preliminary checklist of the herpetofauna of Pulau Besar, Melaka, Malaysia. Tropical Life Sciences Research, 20(1):81–87. 29. Grismer, L. L., Norhayati, A., Chan, K. O., Belabut, D., Muin, M. A., Wood, Jr., P. L., and Grismer, J. L. (2009). Two new diminutive species of Cnemaspis Strauch 1887 (Squamata: Gekkonidae) from Peninsular Malaysia. Zootaxa, 2019:40–56. 28. Grismer, L. L., Wood, Jr., P. L., and Grismer, J. L. (2009). A new insular species of skink of the genus Sphenomorphus Strauch 1887 (Squamata: Scincidae) from Pulau Perhentian Besar, Terengganu, Peninsular Malaysia. Tropical Life Sciences Research, 20(1):51–69. 27. Van Tri, N., Bauer, A. M., Wood, Jr., P. L., and Grismer, J. L. (2009). A new species of Gekko Laurenti, 1768 (Squamata: Gekkonidae) from Dong Nai Province, Southeastern Vietnam. Zootaxa, 2238(1):33–42. 26. Wood, Jr., P. L., Grismer, L. L., Ahmad, N., and Senawi, J. (2008). Two new species of torrentdwelling toads Ansonia Stoliczka, 1870 (Anura: Bufonidae) from Peninsular Malaysia. Herpetologica, 64(3):321–340. 25. Wood, Jr., P. L., Grismer, L. L., Youmans, T. M., Nasir, N. B., Ahmad, N., and Senwai, J. (2008). Additions to the herpetofauna of Endau-Rompin, Johor, West Malaysia. Herpetological Review, 39(1):112–121. 24. Grismer, L. L., Grismer, J. L., Wood, Jr., P. L., Onn, C. K., et al. (2008). The distribution, taxonomy, and redescription of the geckos Cnemaspis affinis (Stoliczka 1887) and C. flavolineata (Nicholls 1949) with descriptions of a new montane species and two new lowland, karst-dwelling species from Peninsular Malaysia. Zootaxa, 1931(1):1–24. 23. Grismer, L. L., Chan, K. O., Grismer, J. L., Wood, Jr., P. L., and Belabut, D. M. (2008). Three new species of Cyrtodactylus (Squamata: Gekkonidae) from Peninsular malaysia. 22. Grismer, L. L., Neang, T., Chav, T., Wood, Jr., P. L., Oaks, J. R., Holden, J., Grismer, J. L., Szutz, T. R., and Youmans, T. M. (2008). Additional amphibians and reptiles from the Phnom Samkos Wildlife Sanctuary in northwestern Cardamom Mountains, Cambodia, with comments on their taxonomy and the discovery of three new species. The Raffles Bulletin of Zoology, 56(1):161–175. 21. Wood, Jr., P. L., Grismer, J. L., and Muin, M. A. (2008). Lygosoma bowringgi. Geographical distribution. Herpetological Review, 39: 483. 20. Chan, K. O., Wood, Jr., P. L., and Grismer, J. L. (2008). Lithobates catesbeianus. Geographical distribution. Herpetological Review, 39:479. 19. Grimser, L. L., Anuar, S., Wood, Jr., P. L., and Muin, M. A. (2008). Leiolepis triplodia. Geographical distribution. Herpetological Review, (39):238–239. 18. Youmans, T. M. and Wood, Jr., P. L. (2008). Bufo melanostictus. Geographical distribution. Herpetological Review, (28):97. 17. Grismer, L. L., Chav, T., Neang, T., Wood, Jr., P. L., Grismer, J. L., Youmans, T. M., Ponce, A., Daltry, J. C., and Kaiser, H. (2007). The herpetofauna of the Phnom Aural Wildlife Sanctuary and checklist of the herpetofauna of the Cardamom Mountains, Cambodia. Hamadryad, 31(2):216–241. 16. Grismer, L. L., Wood, Jr., P. L., and Youmans, T. M. (2007). Redescription of the gekkonid lizard Cyrtodactylus sworderi (Smith, 1925) from southern Peninsular Malaysia. Hamadryad, 31(2):250–257. 15. Wood, Jr., P. L. (2007). Ptychozoon kuhli. Geographical distribution. Herpetological Review, 38:102. 14. Wood, Jr., P. L. (2007). 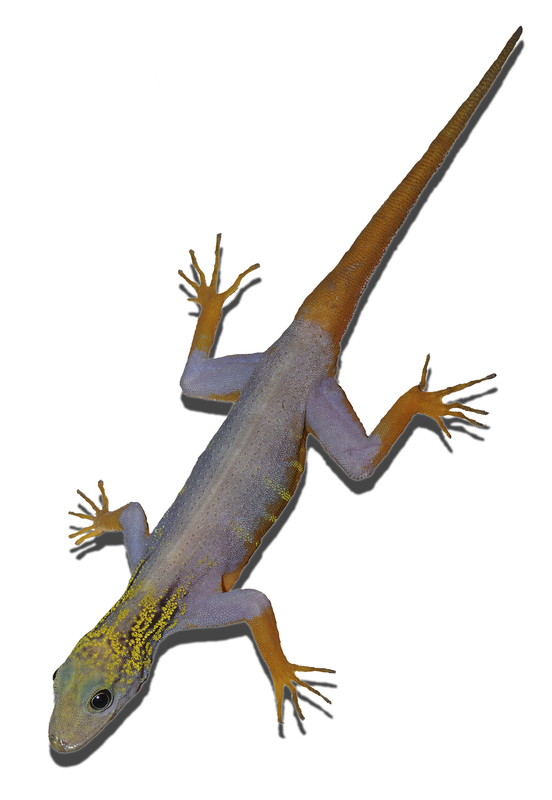 Hemidactylus platyurus. Geographical distribution. Herpetological Review, 38:100. 13. Wood, Jr., P. L. (2007). Dendrelaphis caudolineatus. Geographical distribution. Herpetological Review, 38:103. 12. Grismer, L. L., Youmans, T. M., Wood, Jr., P. L., Ponce, A., Johnson, R., Wright, S. B., and Norsham, S. Y. (2006). Checklist of the herpetofauna of Pulau Langkawi with taxonomic comments. Hamadryad, 29:15–32. 11. Grismer, L. L., Youmans, T. M., Wood, Jr., P. L., and Grismer, J. L. (2006). Checklist of the herpetofauna of the Seribuat Archipelago, West Malaysia with comments on biogeography, natural history and adaptive types. The Raffles Bulletin of Zoology, 54(1):157–180. 10. Wood, Jr., P. L., Youmans, T. M., Grismer, J. L., Wheatley, J., Wright, S., Valdivia, C., Ponce, A., Escobar, L., Amin, S., Baker, P., Bernard, J., Looper, S., Marsh, N., Martin, L., Padilla, N., Rosser, R., Srivastava, A. and, S. V., Wright, X., Yeen, L. S., Kaiser, H., and Grismer, L. L. (2004). First report of the herpetofauna of Pulau Sibu, Johor, West Malaysia. Hamadryad, 28:116–119. 9. Wood, Jr., P. L., Kaiser, H., Looper, S., Youmans, T. M., Grismer, J. L., and Grismer, L. L. (2004). A first report on the herpetofauna of Pulau Besar, Johor, West Malaysia. Hamadryad, 28:106–109. 8. Grismer, L. L., Sukumaran, J., Grismer, J. L., Youmans, T. M., Wood, Jr., P. L. and Johnson, R. (2004). Report on the Herpetofauna of the Temengor Forest Reserve, Perak, West Malaysia. Hamadryad, 29:15–32. 7. Escobar, R. A., Grismer, J. L., Youmans, T. M., Wood, Jr., P. L., Kendall, S. D., Castro, J., Magi, T., Rasmussen, C., Szutz, T. R., and Hover, S. M. (2003). First report of the herpetofauna of Pulau Tinggi, Johor, West Malaysia. Hamadryad, 27:259–262. 6. Wood, Jr., P. L., Youmans, T. M., Raynor, C., Bernard, J. M., Hinojosa, N., Dyer, T., Andreiko, S., van Dijk, P. P., Wuertz, W., and Yeen, L. S. (2003). First report on the herpetofauna of Pulau Dayang, Pahang, West Malaysia. Hamadryad, 27:284–285. 5. Wood, Jr., P. L., Szutz, T. R., Youmans, T. M., and Grismer, J. L. (2003). The first report on the herpetofauna of Pulau Sembilang and Pulau Seribuat, Pahang, West Malaysia. Hamadryad, 27:281–284. 4. Wood, Jr., P. L., Nurul, H., E., A., and Morgan, D. (2003). Dendrelaphis striatus. Geographical distribution. Herpetological Review, 34:264. 3. Grismer, J. L., Rasmussen, C., and Wood, Jr., P. L. (2003). Sibynophis melanocephalus. Geographical distribution. Herpetological Review, 34:266. 2. Youmans, T. M. and Wood, Jr., P. L. (2003). Pareas vertebralis. Geographical distribution. Herpetological Review, 34:389. 1. Wood, Jr., P. L., Youmans, T. M., and Szutz, T. (2003). Elaphe flavolineata. Geographical distribution. Herpetological Review, (34):388. 2016 Field research in Myanmar (3 weeks). 2016 Field research in Peninsular Malaysia and Thailand (4 weeks). 2015 Field research in Peninsular Malaysia and Thailand (4 weeks). 2015 Field research in Peninsular Malaysia and Pulau Lang Tengah (3 weeks). 2014 Field research in Peninsular Malaysia and Adjacent Islands (Pulau Langkawi, Pulau Lang Tengah, Pulau Peneang, Pulau Redang)(5 weeks). 2012 Field research in the Peruvian Andes, Peru (3 weeks). 2010 Field research in Peninsular Malaysia and Adjacent islands (Pulau Penang and Pulau Langkawi) (6 weeks). 2009 Field research in the National Parks of Thailand (Sai Yok National Park, Doi Inthanon National Park, and Khao Kitchakoot National Park) (6 weeks). 2009 Assessor for the IUCN (International Union for Conservation of Nature) Red List. 2009 Field research on the amphibians and reptiles in the Cambodian Cardamom Mountains (2 weeks). 2008 Field research on amphibians and reptiles of Peninsular Malaysia and its off shore islands Pulau Besar and the Perhentian archipelago (4 weeks). 2007 Field research on amphibians and reptiles in Peninsular Malaysia and its off shore islands Pulau Perhentian and Pulau Penang (3 weeks). 2006 Field research on the amphibians and reptiles in Phnom Samkos, and Pursat, Cambodia. 2005 Field research in the Seribuat Archipelago, and adjacent Peninsular Malaysia (Frasier’s Hill, and Endau-Rompin) (6 weeks). 2005 Field research on the reptiles and amphibians of Penang Island, the Langkawi Archipelago, and the Seribuat Archipelago (West Malaysia), Sabah (East Malaysia), Peninsular Malaysia, and Cambodia (12 weeks). 2004 Featured researcher on Animal planet film, “Reptile Kings: Search for the Tioman Pit Viper”. 2004 Field research on the reptiles and amphibians of islands in the Seribuat Archipelago, (West Malaysia), Peninsular Malaysia, and Borneo (3 weeks). 2003 Field research on the reptiles and amphibians of islands in the Seribuat Archipelago, (West Malaysia), Sabah (East Malaysia), and Peninsular Malaysia (4 weeks). 2002 Field research on the reptiles and amphibians of Singapore, Peninsular Malaysia, and islands in the Seribuat Archipelago, West Malaysia (3 weeks). 2011 Presented speaker for the La sierra University Biology departmental seminar. Title: Systematics, biogeography, taxonomy and delimiting species complexes in the Southeast Asian Lizard Genus Acanthosaura Gray, 1831 inferred from mitochondrial and fast evolving protein coding nuclear loci. 2008 Invited speaker to the 1st international symposium on agamid lizards, Zoologisches Forschungs museum A. Koenig, Bonn, Germany. Title: A preliminary phylogeny of the genus Acanthosaura Gray 1931, inferred from mitochondrial DNA. 2005 Invited presentation at the Regional Symposium on Environment and Natural Resources, Kuala Lumpur, West Malaysia. Title: Color pattern variation in the brown kukri snake, Oligodon purpurascens: color pattern polymorphism or two distinct species? 2019 The 9th Biennial Conference of the International Biogeography Society, Málaga, Spain. Title: Phylogenomics of the Green Crested Lizards (Bronchocela): with insights on spatial and temporal evolution. Perry L. Wood, Jr., Jimmy A. McGuire, L. L. Grismer, Luke J. Welton, Jamie R. Oaks and Rafe M. Brown. Poster. 2017 Third Southeast Asian Gateway Evolution (SAGE) Meeting in Bogor, Indonesia. Perry L. Wood, Jr., Jimmy A. McGuire, L. L. Grismer, Luke J. Welton, Rafe M. Brown and Djoko T. Iskandar. Phylogenomography of the Green Crested Lizards (Bronchocela): with insights on spatial and temporal evolution. 2017 Third Southeast Asian Gateway Evolution (SAGE) Meeting in Bogor, Indonesia. L. L. Grismer, Perry L. Wood, Jr., Evan S. H. Quah, Shahrul Anuar Paleoendemism and genetic uniformity across 25 different clades of amphibians and reptiles in the sky-island archipelago of Peninsular Malaysia. 2017 Society of Systematic Biologists (SSR) in Baton Rouge, LA. Randy Klabacka, Perry L. Wood, Jr., L. L. Grismer, Jimmy A. McGuire, Jamie R. Oaks, Jack W. Sites, Jr. Speciation or isolated diversification: The hidden variation of Draco maculatus. 2016 Southeastern Population Ecology and Evolutionary Genetics (SEPEEG) in Madison, FL. Randy Klabacka, Perry, L. Wood, Jr., L. Lee Grismer, Jimmy A. McGuire, Jamie R. Oaks, Anchalee Aowphol, and Jack W. Sites, Jr. The molecular composition of the Draco maculatus species complex. 2015 Society for the Study of Amphibians and Reptiles meeting at the University of Kansas. Poster. Randy Klabacka, César Aguilar, Aaron M Bauer, Alessandro Catenazzi, Eli Greenbaum, Perry L. Wood Jr., Jack W Sites, Jr., Federico Valdez, Ryan Wilkes and Tony Gamble Phylogeny and biogeography of New World leaf-toed geckos, Phyllodactylus (Phyllodactylidae: Gekkota). 2015 Society for the Study of Amphibians and Reptiles meeting at the University of Kansas. L. Lee Grismer, Perry L. Wood Jr., Evan Quah and Shahrul Anuar Paleoendemism and genetic uniformity across 17 different clades in the sky-island archipelago of Peninsular Malaysia. 2015 Society for the Study of Amphibians and Reptiles meeting at the University of Kansas. Cesar Aguilar, Perry L. Wood Jr., Mark Belk and Jack W. Sites Jr. All roads lead to Rome: different integrative taxonomic approaches suggest the same species boundaries in the northernmost Linnean taxa of the Liolaemus montanus group. 2015 Society for the Study of Amphibians and Reptiles meeting at the University of Kansas. Alexandra Sumarli, L. Lee Grismer, Perry L. Wood Jr., Amirrudin B. Ahmad and Syed A. Rizal. A new riparian skink (genus Sphenomorphus Strauch 1887) from Peninsular Malaysia supports the hypothesis that the Thai-Malay Peninsula is a biogeographical crossroad between Indochina and Sundaland. 2015 Society for the Study of Amphibians and Reptiles meeting at the University of Kansas. Perry L. Wood Jr., L. Lee Grismer and Jack W. Sites Jr. Convergent evolution of insular gigantism in the southeast Asian rock geckos (Cnemaspis Strauch 1887). 2015 Society for the Study of Amphibians and Reptiles meeting at the University of Kansas. Anthony Cobos, L. Lee Grismer, Perry L. Wood Jr., Shahrul Anuar, Evan S. H. Quah and Mohd A. Muin. Phylogenetic relationships of geckos in the Hemiphyllodactylus harterti group, a new species from Penang Island, and a likely case of cryptic species within H. titwangsaensis. 2015 Society for the Study of Amphibians and Reptiles meeting at the University of Kansas. L. Lee Grismer, Perry L. Wood Jr., Shahrul Anuar, Mohd A. Muin and Brandon Burch. A new karst-adapted species of the Cyrtodactylus pulchellus complex (Squamata: Gekkonidae) from Peninsular Malaysia and the future of endemic reptiles in karst ecosystems. 2015 Society for the Study of Amphibians and Reptiles meeting at the University of Kansas. Matthew Murdoch, Lee Grismer, Perry L. Wood Jr. and Neang Thy. Phylogeographic substructuring of the Cyrtodactylus intermedius group across the Cardomom Mountains of Indochina as well as the independent evolution and conservation of cave ecomorphs. 2015 Society for the Study of Amphibians and Reptiles meeting at the University of Kansas. Hayden Davis, L. Lee Grismer, Perry L. Wood Jr. and Shahrul Anuar. Historical biogeography and phylogeny of a new stream toad of the genus Ansonia Stoliczka 1870 (Anura: Bufonidae) from a montane region in Peninsular Malaysia. 2015 Presented speaker at the Evolution meetings, Guarujá, Brazil. Uncovering species boundaries in the mountain horned lizards, Acanthosaura (Gray 1827): multilocus species delimitation using coalescent methods. 2013 Fourth author at the 2nd International Conference on Alfred Russel Wallace. Kuching, Sarawak, Malaysia. Preliminary phylogenetic relationships within the genus Macrocalamus Günther, 1864 (Serpentes, Colubridae). 2013 Second author at the 2nd International Conference on Alfred Russel Wallace. Kuching, Sarawak, Malaysia. Phylogenetic relationships and taxonomy of Southeast Asian Cnemaspis (Squamata: gekkonidae): a multilocus and morphological analysis. 2012 Presented speaker at the 8th World Congress of Herpetology. Vancouver, British Colombia. Systematics and biogeography of Southeast Asian Lizard Genus Acanthosaura Gray, 1831: cryptic species, rapid radiations and selective sweeps. 2012 Second author at the 8th World Congress of Herpetology. Vancouver, British Colombia. Phylogenetic relationships within the Cyrtodactylus pulchellus complex: an example of the hidden diversity of lizards on the Malay Peninsula. 2011 Eco-lunch Brigham Young University: Systematics, biogeography, taxonomy and delimiting species complexes in the Southeast Asian Lizard Genus Acanthosaura Gray, 1831 inferred from mitochondrial and fast evolving protein coding nuclear loci. 2009 Presented speaker at the Joint meetings of Ichthyologists and Herpetologists. Portland, Oregon. Title: Systematics of the genus Acanthosaura Gray 1931, inferred from mitochondrial and nuclear genes. 2009 Presented speaker at the Tropical Vertebrate Symposium on a changing world. Bonn, Germany, A. Koenig, Bonn, Germany. Systematics of the genus Acanthosaura Gray 1931, inferred from mitochondrial and nuclear genes. 2008 Presented speaker at the Joint meetings of Ichthyologists and Herpetologists. Montreal 2008. Title: A preliminary phylogeny of the genus Acanthosaura Gray 1931, inferred from mitochondrial DNA. 2006 Presented at Biology Colloquium, La Sierra University. Title: Color pattern polymorphism, in Oligodon purpurascens, based on morphology, color pattern, and molecular analyses. 2005 Presented at Biology Colloquium, La Sierra University. Title: Color pattern polymorphism, in Oligodon purpurascens, based on morphology, color pattern, and mtDNA. 2005 Presented at the Southern California Conference on Undergraduate Research. Color pattern variation in the brown kukri snake, Oligodon purpurascens: color pattern polymorphism or two distinct species? 2012–14 Teaching Assistant, Evolutionary Biology, Brigham Young University. 2009 Teaching Assistant, Lower Vertebrates (Herpetology), Villanova University. 2008 Teaching Assistant, General Biology, Villanova University. 2005 Student Teacher, Tropical Field Biology, La Sierra University. 2004 Student Teacher, Tropical Field Biology, La Sierra University. 2003 Teaching Assistant, Tools and Methods II, La Sierra University. 2001–06 Research/Curatorial Assistant, La Sierra Herpetological Collection, La Sierra University. 2011 “Amphibians and Reptiles of Southeast Asia.” Presentation at Wildomar Elementary School, Wildomar, CA. 2005 “Amphibians and Reptiles of Southeast Asia.” Presentation at Cottonwood Canyon Elementary School, Lake Elsinore, Ca. 2005 “Undergraduate Research” Presentation at the Kiwanis Club, Riverside, California. Co-phylogeography of the Herpetofauna of the Malay Peninsula, across the Isthmus of Kra and the Kangar-Patani line. Evolutionary systematics, species delimitation, and historical biogeography of geckos and agamid lizards in Southeast Asia. Theoretical systematics, Bayesian coalescence methods for delimiting species complexes. Adaptive radiations and substrate adaptation in reptiles in Southeast Asia.